sustainability of the EU integration process. ERI SEE objectives are: a) to continue the support of national education reform efforts in SEE in the perspective of the process of EU integration and the more global developments in education and training; b) to actively promote regional cooperation at system, expert and civil society level through capacity building and know-how transfer; c) to facilitate information exchange and cooperation between the education and the research sector in SEE; d) to support national activities of its participants related to the priorities of the “Detailed Work Programme on the Follow-up of the Objectives of Education and Training Systems in Europe” (Education & Training 2010) and follow-ups, the Copenhagen process and the Bologna process. Contributing to Skills and Mobility flagship in the policy areas related to education, i.e. recognition of qualifications and development of national qualification frameworks. SAWG is the main regional platform for social development and identifying, elaborating as well as implementing regional actions aimed at furthering the regional labour mobility and labour market governance in SEE. SAWG objectives are as follows: a) develop Social Agenda 2020 as a strategic document composed of a set of regionally coordinated social development priorities; b) map current interventions against the priorities and assess the extent to which these priorities are appropriately addressed; c) identify actions to address challenges, advising on regional and sub-regional cooperation to advance the implementation; d) develop key performance indicators; e) advise on the monitoring and evaluation of actions that contribute to the implementation of Social Agenda 2020; f) identify means of improving data collection and the ongoing measurement and evaluation; g) meet annually to review the implementation of strategies, gauge success and recommend adjustments to the strategies or goals. Contributing to Skills and Mobility flagship in the policy areas related to furthering the regional labour mobility and labour market governance. Main objectives of CEFTA 2006 are, inter alia, to expand trade in goods and services and foster investment by means of fair, stable and predictable rules, eliminate barriers to trade between its participants, provide appropriate protection of intellectual property rights in accordance with international standards and harmonise provisions on modern trade policy issues such as competition rules and state aid. It also includes clear and effective procedures for dispute settlement and facilitates the gradual establishment of the EU-Western Balkans zone of diagonal cumulation of origin. Contributing to Skills and Mobility flagship in particular through CEFTA Sub-committee on Trade in Services, which works towards progressive liberalisation and mutual opening of trade in services and touches upon one of the key issues related to facilitated service provision and facilitated regional labour mobility of skilled professionals and service providers. Contributing to Connectivity flagship through providing the frame for signing and implementation of a framework agreement on trade facilitation aiming to achieve a progressive liberalisation and mutual opening of services markets in the context of EU integration. The JWGMRPQ is expected to broaden and deepen the cooperation between CEFTA Sub-committee on Trade in Services, ERI SEE and SAWG in the area of labour mobility, building on the mandates and previous activities of each structure. The JWGMRPQ activities aims to coordinate relevant aspects of labour mobility in order to: a) enhance the intraregional trade in services by reducing and eliminating the barriers on free movement of experts and professionals across the region; b) facilitate recognition of professional qualifications in CEFTA Parties in the priority sectors defined by the JWGMRPQ; c) encourage overall labour mobility as one of the priorities of the SEE 2020 Strategy and contribute to job creation, better matching of skills with labour market needs and increased productivity. Contributing to Skills and Mobility flagship by facilitating increased labour mobility of professionals in the SEE region through broadened cooperation between CEFTA Sub-committee on Trade in Services, ERI SEE and SAWG. CPESSEC aims to deepen and strengthen the relations among the public employment services for exchange of experiences in employment policy implementation. Cooperation within the CPESSEC is realised through exchange of information and experiences in three principal spheres related to providing services to employers, job seekers and improvement of capacities of public employment services. The principles of cooperation are based on the EU employment policy guidelines, with the aim of: a) achieving full employment; b) increasing the quality of work and productivity; c) strengthening the social and territorial cohesion; d) promoting equal access to jobs and inclusion of less employable and inactive persons in the labour market; e) strengthening the labour market institutions and encouragement of territorial and vocational labour force mobility. Contributing to Skills and Mobility flagship through exchange of information and experiences in all activities related to providing services to employers and job seekers and by improving the capacities of public employment services in SEE. The SWG is working to empower and promote sustainable principles on rural development, through networking and permanent cooperation between all stakeholders of rural development in the SEE region. The objectives of SWG RRD are to: a) enhance the regional cooperation among the Ministries of Agriculture in SEE; b) facilitate information sharing on rural issues and rural development topics; c) support participant institutions in identifying mutual needs and interests; d) create opportunities to share experiences and know-how among the participant institutions with various international organisations and institutions; e) provide new ideas and tools relevant to agricultural and rural development polices; f) share and generate initiatives to further the rural agenda. Contributing to Connectivity flagship through implementing the SEE Strategy 2020 goals in the Environmental dimension, with the focus on the sustainable rural development. SEEHN is a political and institutional forum which aims to sustain and strengthen regional cooperation in public health in SEE in order to further the reforms of the health systems of its participants. SEEHN mission is to promote the sustainable development of SEEHN members by improving the health of their populations through better and more intense cooperation, integration, capacity building and coordination in public health at regional level. This includes supporting reform of their national health systems and contributing to economic and social development. Contributing to Skills and Mobility flagship in the domain related to facilitation of trade liberalisation and mobility in health sector. The aim of the SEETO is to promote cooperation on the development of the main and ancillary infrastructure on the multimodal Indicative Extension of TEN-T Comprehensive Network to the Western Balkans and to enhance local capacity for the implementation of investment programmes as well as data collection and analysis on the Indicative Extension of TEN-T Comprehensive Network to the Western Balkans. 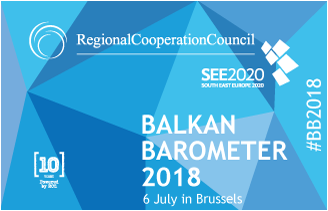 The main objectives of the SEETO cooperation are to: a) develop the Indicative Extension of TEN-T Comprehensive Network to the Western Balkans; b) improve and harmonise regional transport policies and technical standards for the Indicative Extension of TEN-T Comprehensive Network to the Western Balkans; c) maintain an effective coordination and communication network; d) integrate the Indicative Extension of TEN-T Comprehensive Network to the Western Balkans in the framework of the wider Trans European Network. Contributing to Connectivity flagship in the transport policy areas related to the opening of the transport market; establishment of competitive, reliable and safe transport system; and effective border crossing procedures, as well as contributing to converting the existing and planned transport corridors into vibrant economic corridors. The Energy Community is an international organisation dealing with energy policy. The key aim of the organisation is to extend the EU internal energy market to SEE and beyond on the basis of a legally binding framework. The mission of the Energy Community Treaty is to: a) establish a stable regulatory and market framework capable of attracting investment in power generation and networks; b) create an integrated energy market allowing for cross-border energy trade and integration with the EU market; c) enhance the security of supply to ensure stable and continuous energy supply that is essential for economic development and social stability; d) improve the environmental situation in relation to energy supply in the region and foster the use of renewable energy and energy efficiency; e) develop competition at regional level and exploit economies of scale. Contributing to Connectivity flagship in the policy areas related to developing the regional energy market and helping in implementation of “soft measures” which are centred at spot market development, cross-border balancing and regional capacity allocation. The aim of e-SEE Initiative is to better integrate SEE economies into the global, knowledge-based economy by regionally supporting the development of Information Society. Actions undertaken by e-SEE Initiative are complementary to the effort of drawing SEE closer to EU action plans for Information Society development expressed in the current Digital Agenda for Europe. e-SEE Initiative continues to work in meeting the goals outlined in e-SEE Agenda Plus, the strategic document for Information Society development signed at a Ministerial Conference in Sarajevo on 29 October 2007. Contributing to Connectivity flagship in the electronic communications policy area, with the focus on addressing the limited interoperability of ICT systems in order to enable the deployment of region-wide and/or cross-border e-services, and reducing - and possibly eliminating - the roaming charges across the region. REC is an international organisation with a mission to assist in addressing environmental issues. The REC fulfils this mission by promoting cooperation among governments, nongovernmental organisations, businesses and other environmental stakeholders, and by supporting the free exchange of information and public participation in environmental decision-making. The REC continues to: a) follow the development of global environmental problems; b) regularly assess strategic environmental needs in Central and Eastern Europe and serve as a resource in identifying solutions; c) promote public participation in environmental decision-making; d) promote cooperation for improving the environment between governments, academic, and nongovernmental organisations and members of the business community; e) gather and distribute environmental data on the countries of the region as well as pertaining to the region as a whole; f) offer opportunities for mutual exchange of experiences for interested countries, organisations and individuals; g) offer in-kind as well as financial support to promote the solution of certain environmental issues; and h) award fellowships and organise educational, training and scientific programmes in the field of environmental protection, management as well as nature conservation in the region. Contributing to Connectivity flagship through implementing the SEE Strategy 2020 goals in the Environmental dimension. The Global Water Partnership Mediterranean envisions a water secure world. Its mission is to promote action and exchange knowledge on Integrated Water Resources Management (IWRM) with the aim to help Mediterranean countries to connect water resources planning and operations at different scales (regional, trans-boundary, national, basin and local), in order to achieve coherence and bring about solutions that contribute to the sustainable use of water resources as means towards sustainable growth. Contributing to Connectivity flagship through implementing the SEE Strategy 2020 goals in the Environmental dimension, with the focus on the sustainable use of water resources. MARRI aims to strengthen regional cooperation and pursue coherent approaches to migration management in SEE within the overarching objective of achieving gradual harmonisation with the EU and international standards. The objective of MARRI and its Centre is to contribute to the orderly and free movement of people in the interest of security and prosperity, covering the following areas: migration, asylum, integrated border management, visa policy and consular cooperation, return/settlement of refugees/displaced persons. Contributing to Skills and Mobility flagship on issues touching upon the wider migration framework with regards to institutionalising migration profiles in SEE, strengthening regional cooperation and networking among migrant service centres, databases on migrant labour, offices of supportive services regarding residence and work permits, etc. Co-Chairs: The meetings of the SEEIC are chaired by the Co-chairs of the SEEIC, i.e. RCC (permanent co-chair) and SEE participant (rotating annually, with the possibility of extension for an additional year). The SEEIC promotes and facilitates regional cooperation in the sphere of investment-related reform and competitiveness in SEE. SEEIC currently has three main objectives: a) implementation of the SEE 2020 Strategy; b) increasing competitiveness of the region through joint targeted action and enhancing regional value chains; c) promoting the SEE region as an attractive business and investment destination. Contributing to Competitiveness flagship in the areas related to industrial and investment policy. The main objective of WISE is to strengthen regional research, innovation and technology systems by providing support, advice, information and recommendations to governments, public and private institutions, nongovernmental organisations and all other relevant stakeholders. WISE aims to facilitate cooperation on the regional, EU and international levels, as well as contribute to improving the Western Balkans research and innovation climate. WISE primarily works on promoting collaboration of local researchers and researchers abroad with special emphasis on the scientific diaspora in order to facilitate shared use of large research facilities and promote the scientific centres of excellence. In addition WISE promotes mobility of young researchers and PhD candidates within the Western Balkans region and between the region and other countries. WISE works on strengthening the collaboration and coordination among research organisations for more strategic investment in research infrastructure as well as on promoting collaboration between research organisations and industry. Contributing to Competitiveness flagship as a regional platform for innovation policy. 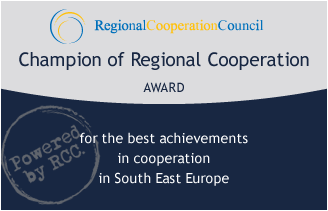 ReSPA is an international organisation which has been entrusted with the mission of boosting regional cooperation in the field of public administration in the SEE region. ReSPA seeks to achieve its mission through the organisation and delivery of training activities, high-level conferences, networking events and publications, the overall objectives of which are to transfer new knowledge and skills as well as to facilitate the exchange of experiences both within the region and between the region and the EU Member States. Contributing to cross-cutting issues related to public administration reform. The creation of A-5 Charter is part of the vision to integrate its participants into NATO Alliance, following the fulfilment of all the required conditions. In this context, the A-5 Charter has two objectives: to secure an open-door NATO policy and provide a framework for cooperation and mutual support to NATO candidate countries. The cooperation within A-5 Charter promotes the regional security cooperation, but also increases interoperability and adaptation of NATO standards through joint exercises and cooperative activities of respective units. The USA as a strategic partner, as well as other NATO member countries as special advisors, offers important support to promote this form of cooperation. Contributing to closer cooperation of its participants in defence and security sector, primarily as a part of Euro-Atlantic integration process. The RAI acts as a regional process through which governments of SEE region combine their efforts to help curb corruption. It intends to give an impetus to the fight against corruption in SEE by building upon existing actions through better coordination of all efforts and by relying on high-level political commitment. With the understanding of the European perspective of SEE region’s future, RAI seeks to foster closer integrative links and common European values in regard of good governance. Contributing to cross-cutting issues related to promoting transparency and fight against corruption. SEELS is an academic network that brings together 13 distinct Law Schools from SEE. Its mission is to foster excellence and European integration. SEELS is conceiving and implementing a wide range of activities, such as summer academies, graduate schools, research projects and conferences in legal science and education through regional collaboration. Contributing to cross-cutting issues related to developing regional cooperation in the area of justice, enhancing mutual trust based on knowledge about the legal systems in the SEE region. WGJ was established by RCC with aim to: a) enhance regional cooperation and mutual trust in the field of justice; b) identify areas and tools to address challenges in judiciaries; c) serve as a platform for exchanging good practices and experiences; d) develop the regional activities in the area of efficiency and integrity of judiciary; e) map current activities in the area of justice in the region. Contributing to cross-cutting issues in the area of the rule of law related reforms. It is expected to support the SEE enlargement economies to better prepare for the EU accession negotiation of Chapters 23 and 24. SELEC is operational organisation which facilitates the rapid exchange of information between law enforcement agencies regarding trans-border criminal cases. The objective of SELEC - a successor of SECI Center - is to provide support to its participants and enhance coordination in preventing and combating crime, including serious and organised crime, where such crime involves or appears to involve an element of trans-border activity. Support to participants to enhance coordination in preventing and combating crime where such crime involves or appears to involve an element of trans-border activity. SEEPAG is an international mechanism of judicial cooperation, formed by the representatives of the judicial authorities from the SEE region with an express intention of facilitating cooperation in significant trans-border crime investigations and cases. SEEPAG functions under the auspices of SELEC. SEEPAG seeks to significantly increase the capacity of individual participants to suppress, investigate and prosecute serious trans-border crimes. Support to participants at the prosecutorial level to enhance coordination in preventing and combating crime, including serious and organised crime, where such crime involves or appears to involve an element of trans-border activity. SEPCA is an association of police directors that supports its participants in their efforts regarding police reform. The mission is to provide a secure and safe environment for the citizens in the SEE region, enhance effective and democratic police services in SEPCA participants and prevent and fight all forms of serious crime and terrorism in the region. Contributing to regional cooperation in security area by promoting police reforms aimed at providing safe environment for the people in SEE region. The aim of the PCC SEE is to adopt Schengen standards through the conclusion of a multilateral convention for the improvement of strategic police collaboration in the SEE region. The Convention envisages modern forms of cooperation among the Contracting Parties, such as joint threat analysis, liaison officers, hot pursuit, witness protection, cross-border surveillance, controlled delivery, undercover investigations to investigate crimes and to prevent criminal offences, transmission and comparison of DNA profiles and other identification material, technical measures for facilitating trans-border cooperation, border search operations, mixed analysis working groups, joint investigation teams, mixed patrols along the state border and cooperation in common centres. Contributing to closer practical cooperation of national law enforcement agencies in SEE, especially in countering corruption, organised crime, radicalisation and violent extremism leading to terrorism. SEDM represents a process of cooperation among the Ministries of Defence from SEE. The activities undertaken within SEDM are developed with the idea to strengthen the politico-military cooperation and to enhance the stability and security in SEE by: promoting regional cooperation and good neighbourly relations, strengthening regional defence capabilities as well as cooperation through collective efforts and establishing links facilitating integration into Euro-Atlantic institutions. Among the SEDM initiatives, one that carries the most prominence is the Multinational Peace Force South-Eastern Europe (MPFSEE), established with the MPFSEE Agreement and also known as the South-Eastern Europe Brigade (SEEBRIG). SEDM objectives are: a) promotion of mutual understanding, confidence and cooperation among participants; b) contribution of SEDM and Multinational Peace Force of the SEE (MPFSEE) / South-Eastern Europe Brigade (SEEBRIG) to regional and worldwide security and stability; c) enhancement of the SEEBRIG interoperability and capability to deploy in peace support missions; d) facilitation of SEEBRIG employment in peace support operations; e) promotion of Euro-Atlantic integration processes of SEDM participants; f) implementation and development of the SEDM projects; g) enlargement of the SEDM process with new participants; h) cooperation with international organisations. Fostering closer cooperation between the ministries of defence and armed forces in SEE, thus building mutual confidence and interoperability, and defence reforms as part of European and Euro-Atlantic integration processes. SEEMIC is a forum for cooperation of national military intelligence services from the region that allows for networking, building relationships and strengthening trust as a basis for furthering cooperation in the security area. The process of cooperation of the SEE military intelligence chiefs has been realised at the initiative of the RCC, which continues to financially and organisationally support the process. SEEMIC aims to establish and develop practical cooperation in facing common security threats and challenges, and join efforts in improving intelligence sharing at the regional level. Contributing to the security and defence cooperation through mutual confidence building and practical cooperation of national military intelligence services in SEE, thus helping further stabilisation and security of the SEE region. Multinational Advisory Group – MAG (It is composed of representatives from participants, associate participants and observers and it provides direction to ensure the operation and development of RACVIAC). RACVIAC – Centre for Security Cooperation is an international, independent, non-profit, regionally owned, academic organisation, with the mission to foster dialogue and cooperation on security matters in SEE. RACVIAC was established in 2000 as the Regional Arms Control Verification and Implementation Assistance Centre. By the signing of a new Agreement on RACVIAC in 2010, the Centre was renamed the RACVIAC - Centre for Security Cooperation. RACVIAC focuses its activities on three overarching fields: a) the Cooperative Security Environment with a focus on Arms Control; b) Security Sector Reform; c) International and Regional Cooperation with a focus on Euro‐Atlantic integration. Through its arms control and defence and security cooperation activities, especially in a subfield of defence management education and training, RACVIAC continually makes a contribution to the RCC’s objective of enhancing security and stability in SEE. The RCC TFCS was established by the Decision of the Board of the RCC. The aim of the RCC TFCS is to promote regional cooperation in the sphere of culture by creating a platform for dialogue of relevant stakeholders. The subsequent goal is to maximise the benefits of investment in culture through its contribution to sustainable economic and social development by ensuring the coherency with other actions promoted at regional and national level. The RCC TFCS closely cooperates with the RCC Secretariat in the framework of promoting regional cooperation in the sphere of culture. NALAS aims to provide services to local governments for the benefit of the citizens in the SEE region and wishes to develop itself as the knowledge centre for local government development in SEE. It brings together 16 Associations which represent roughly 9000 local authorities. 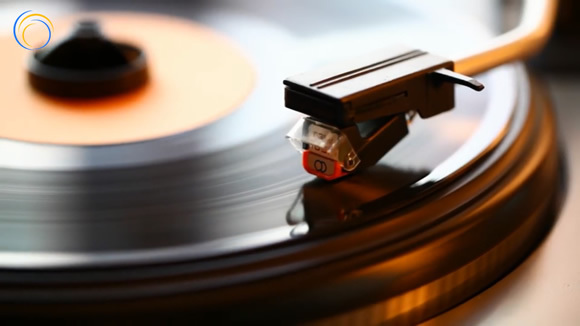 NALAS stimulates exchange of information and experiences among its members. Its Task Forces have a key role in knowledge production and dissemination. Contributing to cross-cutting issues by engaging local governments in implementation of the RCC SWP 2017-2019. DPPI SEE is a regional initiative that seeks to provide a framework for SEE region to develop programmes and projects leading to strengthened capabilities to prevent and respond to natural and man-made, i.e. technological disasters. The principle objectives of the Initiative are to contribute to the institutional capacity building of disaster management organisations to enhance disaster prevention and preparedness in the economies of the SEE region. Contributing to the security cooperation through developing programmes and projects for disaster preparedness and prevention. SEESAC works to strengthen the capacities of national and regional stakeholders to control and reduce the proliferation and misuse of small arms and light weapons, and thus contribute to enhanced stability, security and development in South East and East Europe. SEESAC functions under the mandate given to it by the UNDP and the RCC. SEESAC administers the Women Police Officers Network in South East Europe (WPON) and supports efforts to integrate the gender perspective in defence policy. With their efforts regarding legally regulating small arms and light weapons legal possession and curbing the illegal one, SEESAC contributes to security and stability of the SEE region and its people. SEENSA is an initiative that creates conditions for exchange of experiences and practices aimed at providing for effective interaction between its participants in the field of the protection of classified information. Strengthening mutual confidence, exchange of information and views on national security matters; practical cooperation, especially in the education and training and issuance of security certificates are main priorities of SEENSA. Contributing to the security and stability of the SEE region through cooperation of national security authorities, helping them build mutual confidence, exchange best practices, and better fulfil their main tasks. General Committees (Dealing with specific issues, namely on: 1) Economy, Infrastructure and Energy; 2) Justice, Home Affairs and Security Cooperation; and 3) Social Development, Education, Research and Science. SEECP PA contributes to the enhancement of inter-parliamentary regional cooperation in SEE and promotion of effective cooperation with other regional initiatives. It promotes the democratic principles of the rule of law and human rights, as prerequisites for stability, economic development and social cohesion. SEECP PA plays a key role in assisting the national Parliaments of the SEECP participants to harmonise their own legislative framework with the EU acquis by developing a comprehensive exchange of best practices, knowledge and experience with the Parliaments of EU Member States. Contributing to the parliamentary dimension of regional cooperation in SEE. Chairmanship (Rotating annually and held in alphabetical order by the Chairman of the Committee for European Affairs of the presiding country. Meets at least twice a year to discuss issues related to the Stabilisation and Association Process and to EU enlargement. The COSAP has a clear agenda and perspective; it aims at strengthening cooperation between the Committees of National Parliaments dealing with European Affairs. The mission of COSAP is to contribute to inter-parliamentary cooperation in SEE through the exchange of experiences between the candidate countries and EU Member States, for the purpose of preparing its participants to respond to the challenges that membership negotiations carry. Contributing to the parliamentary dimension of regional cooperation in SEE through bringing together the Committees of National Parliaments dealing with European Affairs.